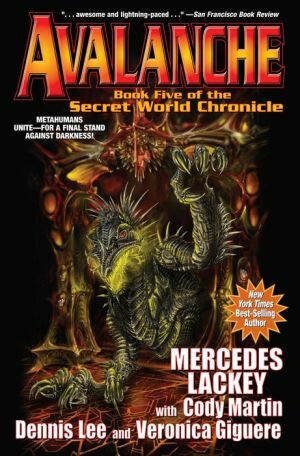 From New York Times best-seller and science fiction and fantasy mistress of adventure Mercedes Lackey, Book #5 in the pulse-pounding SECRET WORLD saga of modern-day humans with superpowers. Ultima Thule has been destroyed--but somehow the Thulians mounted an even bigger force to destroy Metis. The Metisians that escaped the carnage and destruction of their secret city now must somehow find somewhere safe to go--without getting snapped up by various world governments. And now the Thulians have changed their tactics to "blitz guerilla warfar," sending wave after wave of their ships and troops to attack vulnerable targets all over Earth, with no clue for ECHO as to where these things are coming from. John Murdock and The Seraphym have become a force of nature, but they can't be everywhere at once, and if they were regarded with suspicion before, now they are regarded by ECHO's allies with fear as well. You could say "things can't get worse." Red Djinni's past is about to catch up with him. The heroes of ECHO and CCCP have to save the world. But first, they have to save each other. And the avalanche has begun.